Even though it is still winter and the clouds do open the rain spigot here and there, the past several Saturday mornings at PDX C&C have been quite busy with many unique and awe-inspiring cars. 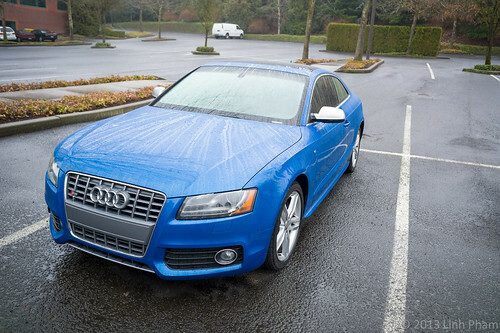 This past Saturday was no different, particularly for us Audi fans. 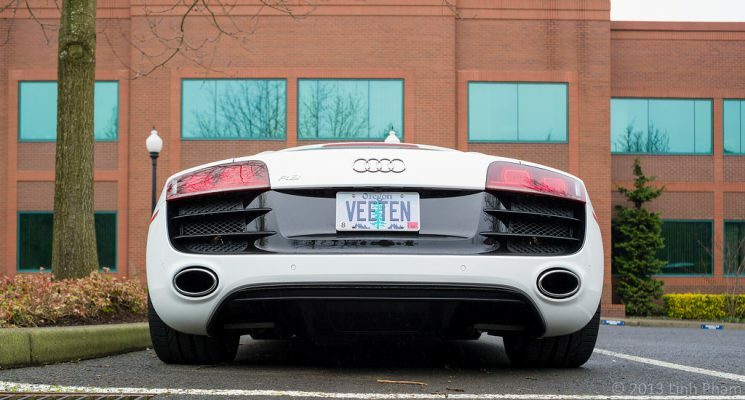 Yesterday morning, I got to talk an owner of an Ibis White Audi R8 V10 (which he brought out) and an Audi S7. 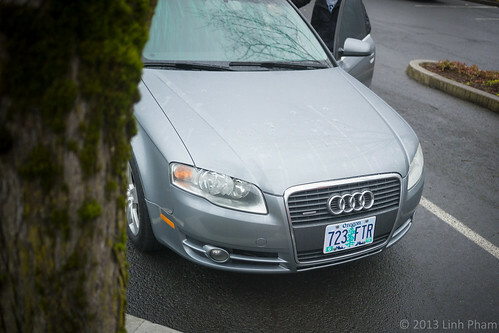 The discussion included my Leica M9, his Audis and the photos that I post up on to my Facebook Page. 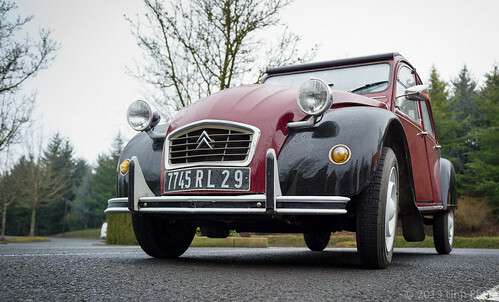 Over the course of the morning, a Citroën 2CV joined the meet, along with a fleet of BMW M3s. 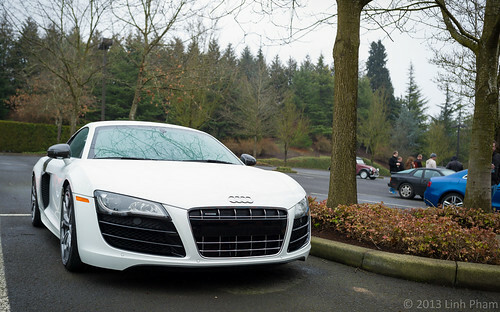 During that time, the owner of an Ibis White Audi TT RS arrived and parked next to the aforementioned Ibis White Audi R8. 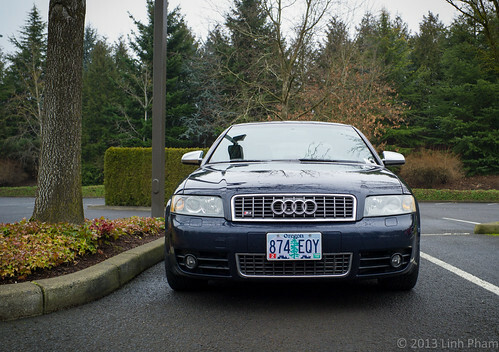 The owner of a very rare (1 out of 10) Sprint Blue Audi A6 allroad quattro that was brought over for the German Ski Federation to use at the 2002 Winter Olympics in Salt Lake City, Utah. 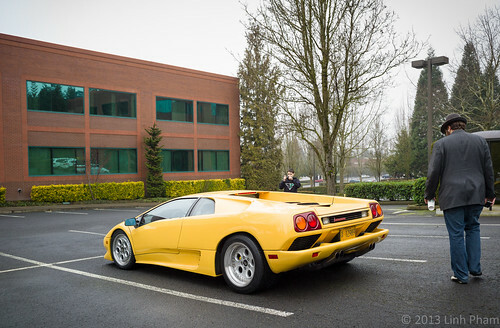 To make things even better, both an orange Lamborghini Gallardo (corporate cousin to the Audi R8) and a yellow Lamborghini Diablo arrived and parked near the Audi R8. Below are some of the pictures of the various Audis and of the two Lamborghinis that made it out yesterday. 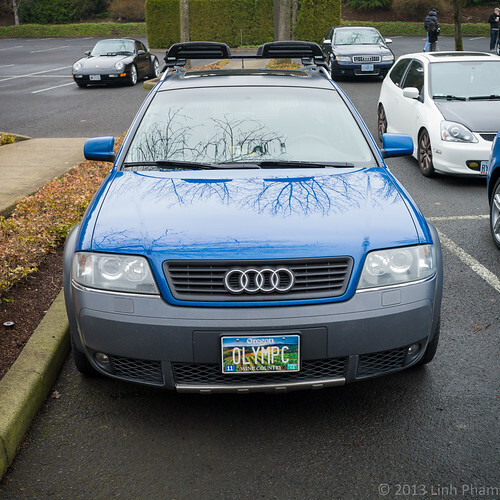 Additional photos can be found on my Flickr photostream under the “09 Feb 2013 PDX C&C” set.